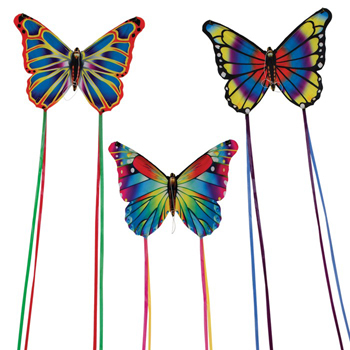 This 6 piece assortment comes with (2) each of three colorful butterfly designs. The beautifully detailed graphics look great as the kites soar across the sky. These kites are easy to fly and fun for the whole family!